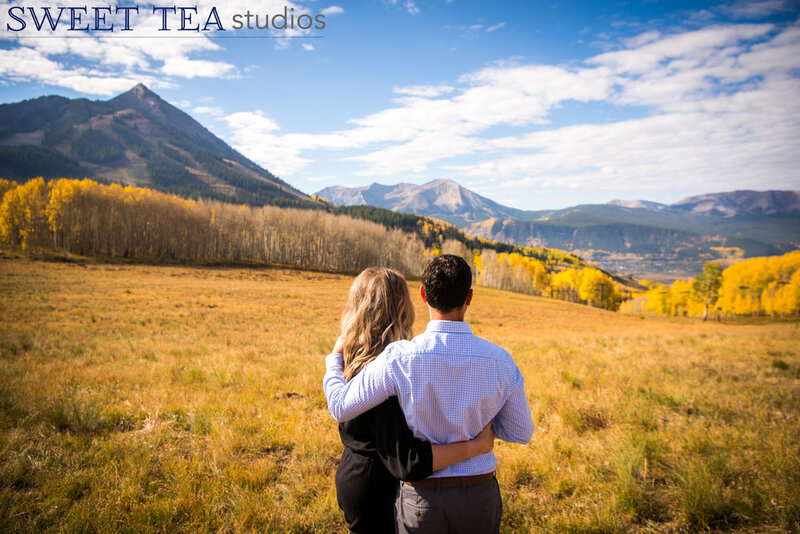 Fall here in Crested Butte is in a word - magical! 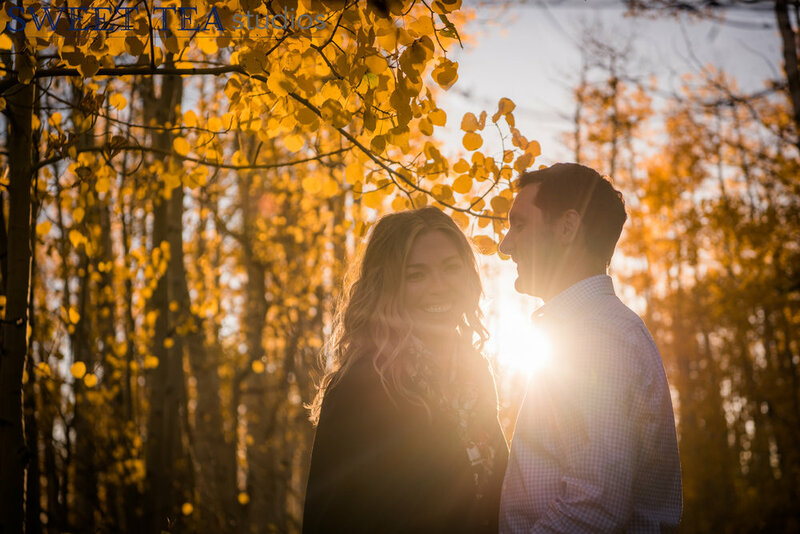 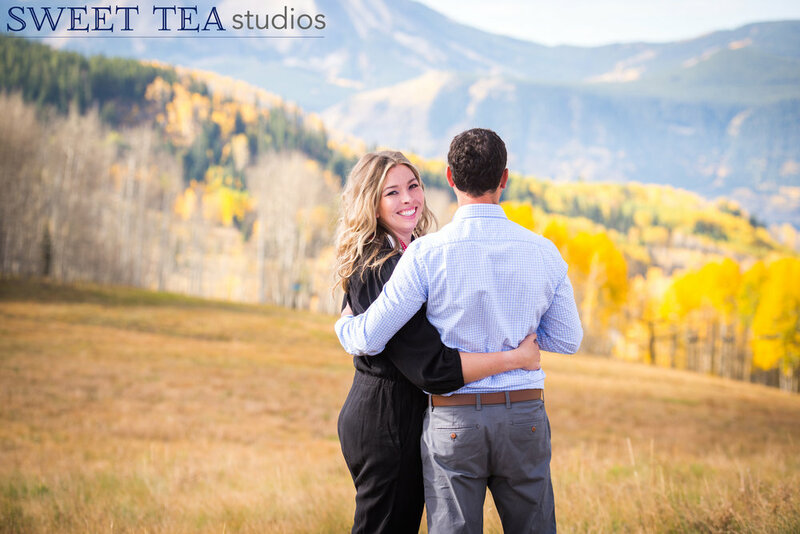 The golden aspen leaves light up the entire forest in perfect lighting, which is especially ideal for these romantic sessions! 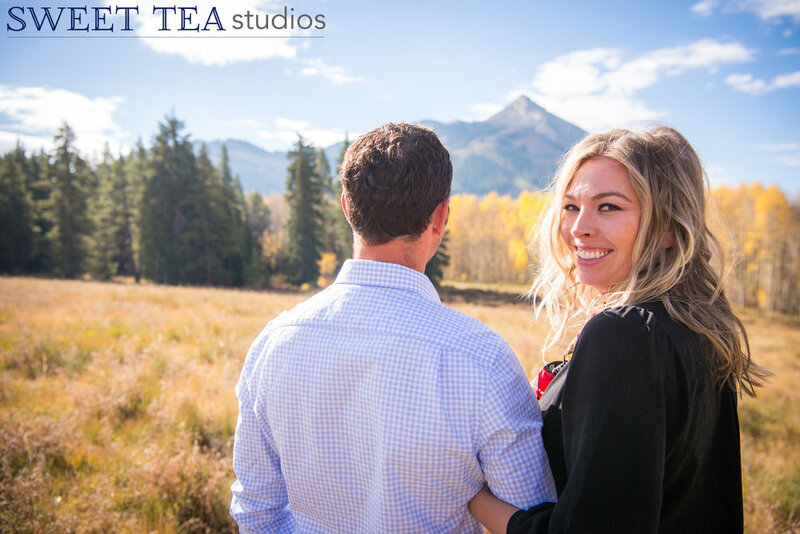 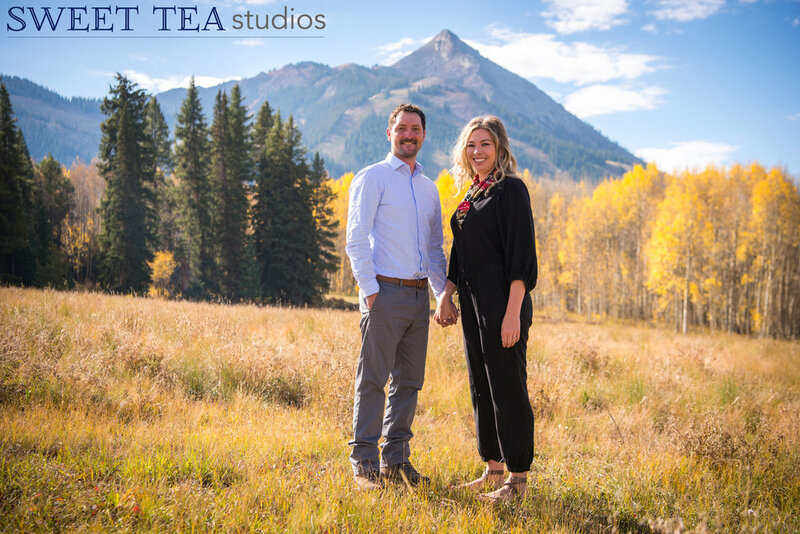 Shelley used to live here in Crested Butte before moving to the front range where she met her future husband, Zach. 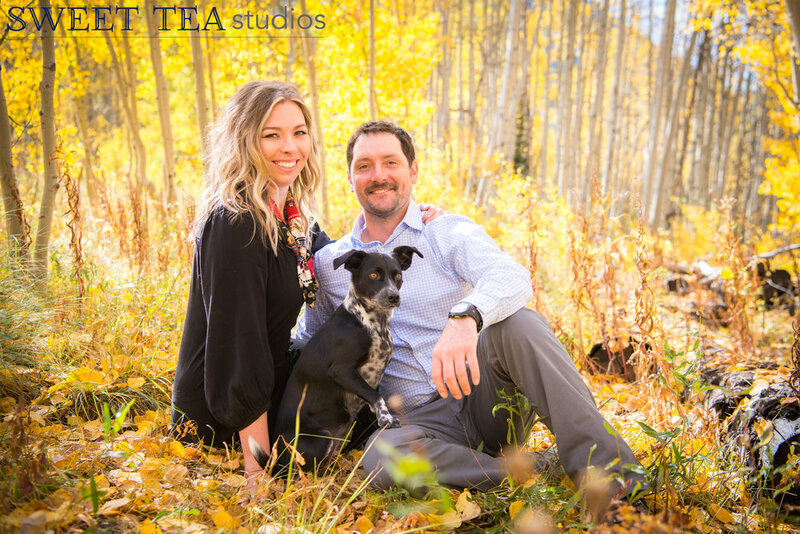 They love coming here to visit friends with their sweet pup Josey, and we were thrilled to get them in front of our camera for a session this fall. 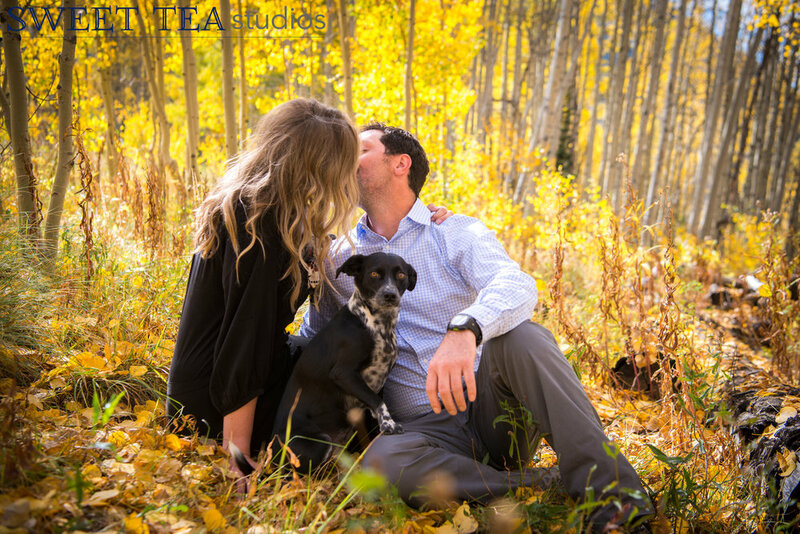 Our favorite part of the job is meeting new people, and the couples we work with are always so much fun to get to know. 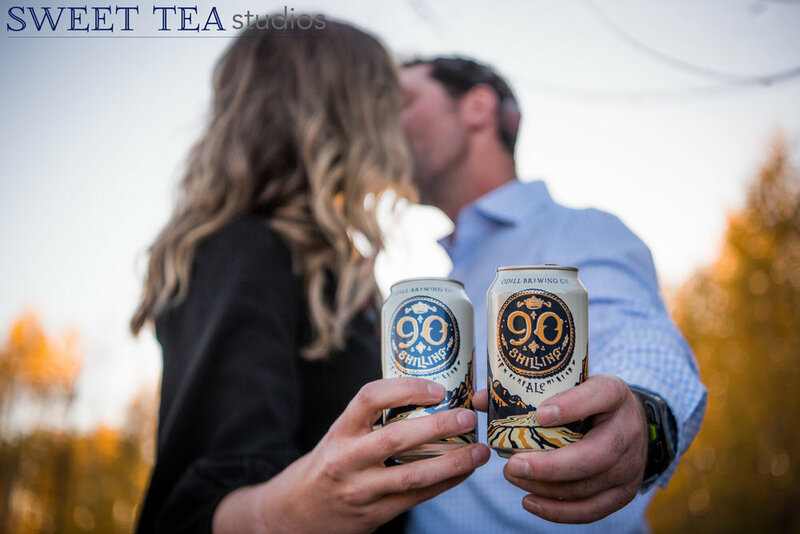 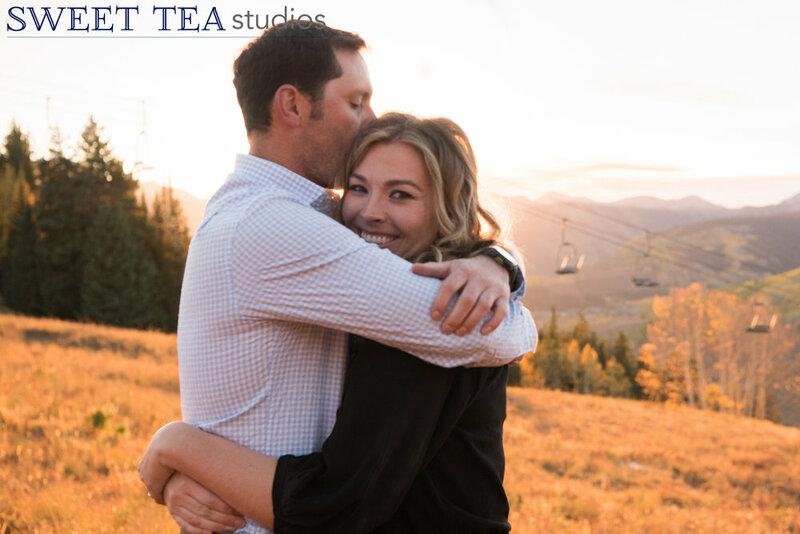 Our engagement sessions are the perfect opportunity to take our time, maybe have a drink together, and allow everyone to just get comfortable being in front of a camera. 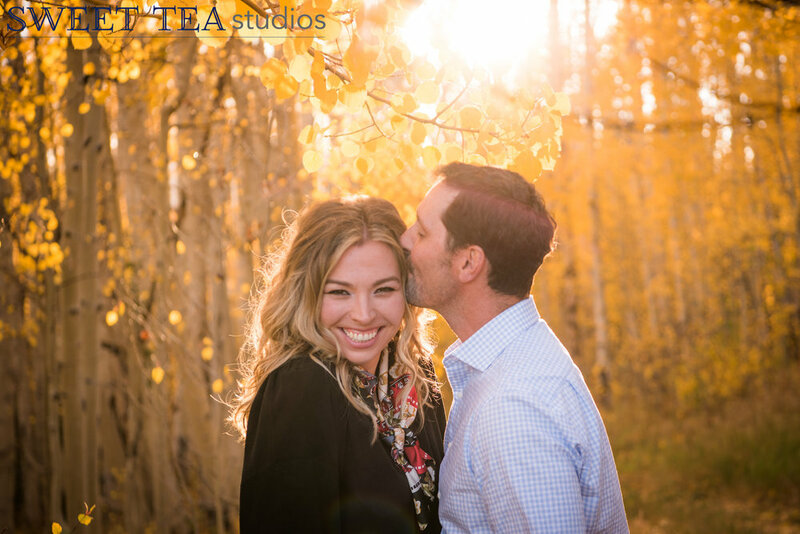 We pride ourselves in the number of times we hear “that was actually fun!” (especially from the guys! 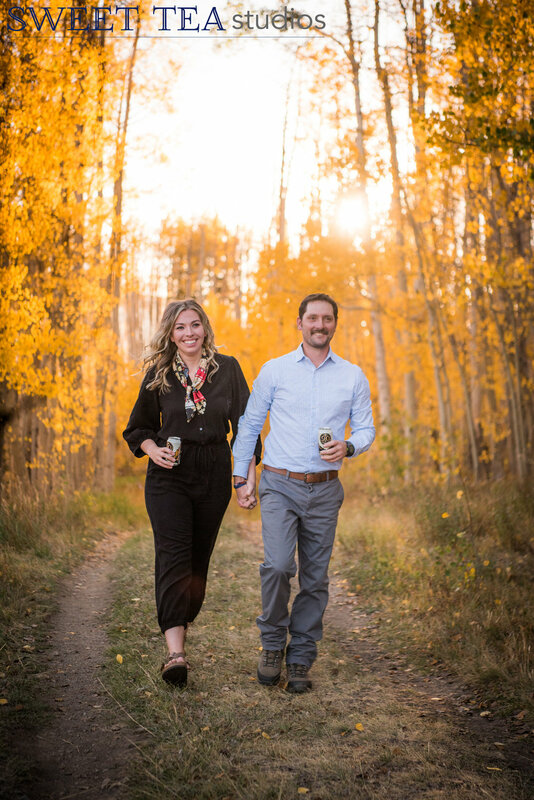 ), and we love to use that time to not only get beautiful photos of awesome people, but to make new friends who we are always excited to see again on their big day!